This is my second time EVER making a cake from scratch. I tried one a few weeks ago for my daughter's 21 birthday. That was a good cake. It was a little spongy and kind of oily. Everybody raved about it, but I wasn't completely sold. I combined two recipes and came up with this recipe. It is very moist and chocolatey. And if you love peanut butter frosting, like I do, this will become your new favorite! 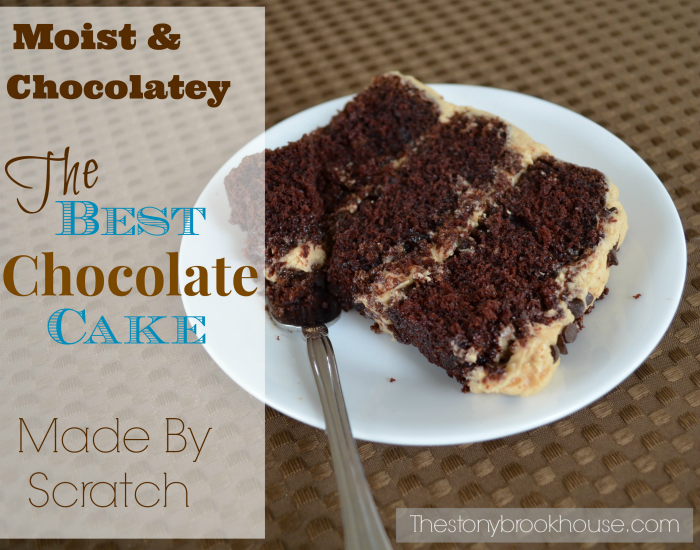 The frosting just takes this cake to an another level! A note of caution: This is a NOT a healthy low-fat, low-sugar cake. This is an awesome cake! Also another note, when it says that the batter will be thin, it is seriously thin. It's not like your box mixes. 2. Stir together sugar, flour, cocoa,baking powder, baking soda and salt in a large bowl. Add eggs, buttermilk, oil and vanilla; beat on medium speed of mixer for 2 minutes. Then stir in boiling water. The batter will be extremely thin. Pour batter into pans. 6-8 Tbsp. of milk, added as needed. Mix all together in a large bowl, adding milk little by little, until desired consistency for spreading. What To Do With All Those Magazines?